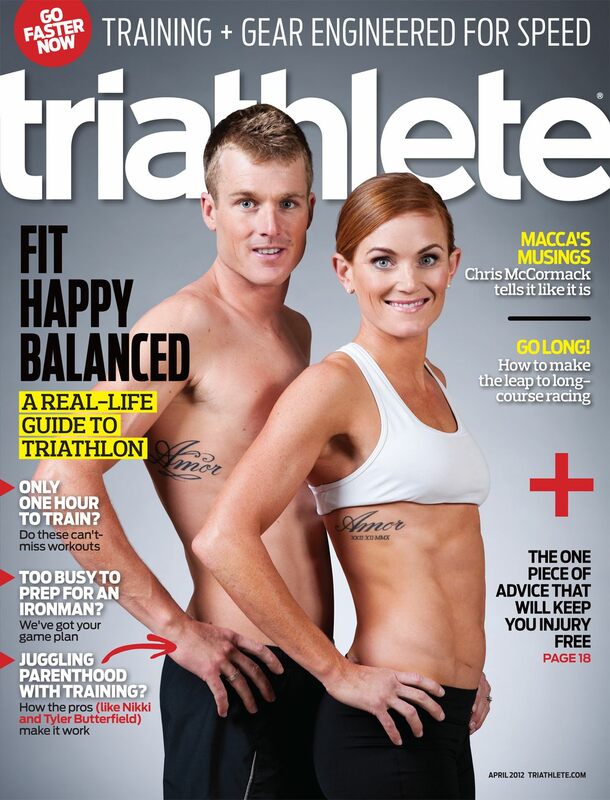 Bermudian triathlete Tyler Butterfield and his wife Nikki Butterfield are featured on the cover of the April issue of Triathlete Magazine, which has a circulation of 60,000. 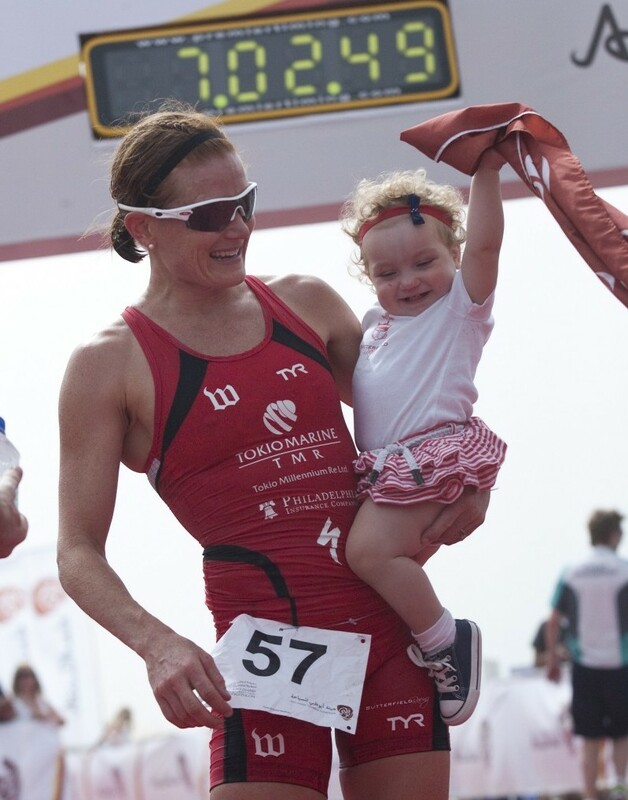 The couple are both professional triathletes, and also proud parents to their 15-month-old daughter Savana. The 2006 Bermuda Athlete of the Year, Mr. Butterfield became Bermuda’s first professional triathlete in 2002, going on to compete in various nations including Australia, Argentina, Britain, Japan, Mexico, Monaco, New Zealand, Portugal, Switzerland, South Africa and the United States. In 2004 Tyler Butterfield became the youngest male triathlete [from any nation] to compete at the Olympic Games, and is presently training for the 2012 London Olympics. His first victory of 2012 came in January when he won the 2012 Pan American Elite Men Championship in Argentina. Australian-born Nikki Butterfield won the Abu Dhabi International Triathlon this morning [Mar.3], setting a new course record in the 3km swim, 200km bike, 20km bike race held in the United Arab Emirates. Mrs Butterfield — who had a 2.5 minute lead over the second place finisher — stopped near the end of the race to pick up her daughter and the two crossed the finish line together. Meanwhile, the Bermuda Triathlon (which brought several hundred people to the island and resulted in coverage in pretty much every runner’s magazine in the world) was cancelled in favour of the Feel the Glove festival (which manages to bring in a handful of people at best). I think a regular triathlon in Bermuda should be considered much more closely by the tourism ministry. The Bermuda roads need to be made safer & more convenient to run & bike on before promoting. If the old tcd laws were brought back it would help a lot in road safety & tourism. BPS enforcing the speed limit better would also help. If that happened your idea & a general promotion of bermuda as a running & cycling paradise would work well. they don’t live here either. so much for bermuda support! I wonder where Clarence Hill would have been if he was given a second chance. Yeah keep wondering. Too CUTE !!!!! The baby looks soo excited ….. Congrats to both of you keep it up POWER COUPLE!!! CONTINUE TO INSPIRE ! WE NEED YOU ! Great article BERNEWS! We need more positive stories about great role models like the Butterfield couple. Congratulations to Tyler and Nikki! Way to go Tyler and your beautiful family! FANTASTIC! Wising you two many years of injury free success. @aquarius: how can they live here and train and compete? It’s like Shaun Goater living here and playing for Manchester City! Some people just like to compain – about anything.